More than half of England’s universities have fewer than 5% poor white students in their intakes, says an analysis of admissions figures. The report, from the National Education Opportunities Network (Neon), shows low numbers of white students from deprived areas in many top universities. 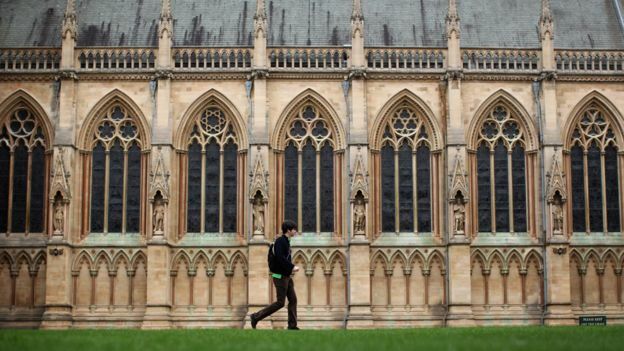 There are 3% at the University of Oxford, compared with 28% at Teesside. The study says too few universities have clear targets to recruit white working-class students. Education Secretary Damian Hinds has warned of communities feeling “left behind”. Labour says tackling the recruitment problem revealed by this report must be a “priority”. Justine Greening, the first Conservative education secretary to have gone to a comprehensive school, says the figures should be a “wake-up call”. “We need new ideas, including on student finance, to make sure more white working class students have a fair chance to get into university,” she says. 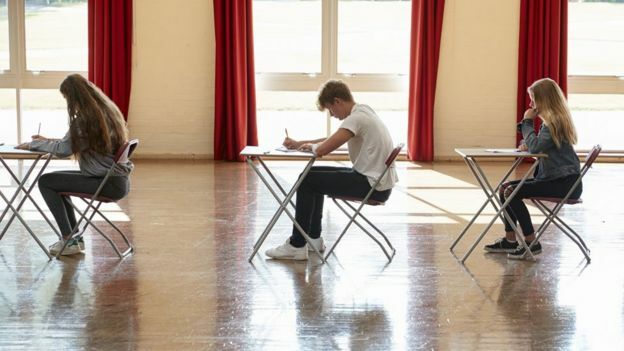 The study, from an organisation promoting wider access into higher education, calls for a “national initiative” to tackle the educational underachievement of disadvantaged white youngsters across schools, colleges and universities. The admissions figures show the problem in recruiting white students from poorer backgrounds, particularly to some prestigious universities. Researchers warn that fewer than a fifth of universities have targets for poor white students – and that there are only “variable” efforts to improve participation. Even if a target of 5% of poor white students were to be set across universities, it would mean another 10,000 students going to university, says the research. Why do white working class students fail in school? The study looks at white students from so-called “low-participation neighbourhoods” – areas where few people usually go to university. In total numbers, white students, of all social backgrounds, are the biggest group going to university, show figures from the Ucas admissions service. But in terms of a proportion of the population, white youngsters are less likely to go to university than Asian or black teenagers. The latest application figures, for courses in the autumn, show that applications from white students are declining, while they are increasing for Asian and black youngsters. Cutting across this is a widening gender divide – with women much more likely than men to apply to university. When these factors combine, it means that white, working-class men become among the most under-represented groups in university. The study says projects to widen entry into university might need to be “redefined”. The report shows a starkly divided picture in where poor white students are likely to attend. They are particularly likely to take higher education courses in local further education colleges. Among those going to university, 70% go to new universities, with low numbers going to some high-ranking institutions. At University of Sunderland, 27% are white students from deprived areas and 22% in Staffordshire University. The numbers are particularly low in London universities – many of them 1% or 2%. But these figures might be affected by the high overall levels of young people in London going to university – much higher than elsewhere in England. Because of such high entry rates, even from deprived youngsters, there are relatively few “low-participation neighbourhoods” in London, or young people who would fall into this category. The high cost of living in London could also deter some poorer students from elsewhere from coming to study in the capital. Graeme Atherton, report co-author and director of Neon, warned of “big variability” in the chances of different groups to get to university. “We need to know more about why this variability exists and do more to eliminate it,” he says. The director for fair access at the Office for Students, Chris Millward, said the study reveals “the scale of work to be done”. He said universities will have to “set out the work they will do to reduce the gaps in higher education participation and attainment between the most and least advantaged”. 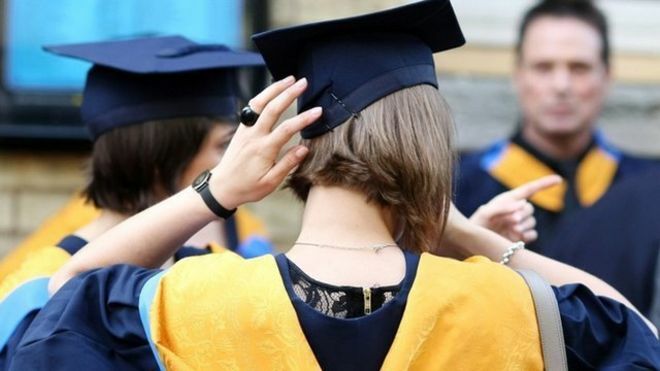 A spokeswoman for Universities UK said “18-year-olds from the most disadvantaged areas in England are more likely to go to university than ever before” – and this would be further helped if the government restored “maintenance grants for those most in need”. Labour’s shadow universities minister, Gordon Marsden, said the “government and the Office for Students must work with universities on this as a priority”. “This important study shows we must improve poor access to universities for disadvantaged young white children and especially boys,” said Mr Marsden. Justine Greening, the former education secretary who has launched a social mobility project, said “Britain can’t afford talent going to waste” and calls for “ambitious and bold” moves to widen access to university. Education Secretary Damian Hinds said: “White British disadvantaged boys are the least likely of any large ethnic group to go to university. “We need to ask ourselves why that is and challenge government, universities and the wider system to change that.